I’ve postponed my buying of this book for a long time because, well, it’s too popular for my taste (you know how NOT all pop culture hits are actually good, worthy reads after the fad). In my head I consider him a hipster author of Generation Y, but since I’ve seen a lot of hype on the movie casting and heard some friends cry over it (what is it with me and catharsis lately), I thought why not. Cute fan art found on the internet! Well, whaddaya know, I developed a huge crush on Augustus (Gus) Waters, the knight in shining armor of the sometimes insufferable Hazel Grace Lancaster. Every girl’s sure to fall in love with his piercing blue eyes, his lopsided smiles, and super romantic gestures while battling quietly the cancer that quickly spread inside his body. Every encounter or scene with him in this story is something to look forward to (here we go again with fictional crushes). Hazel’s character made sense (and is tolerable) with Gus around, and they’re the couple you do wanna root for especially since they’re walking time bombs. Everything is lovely and interesting until they met the crass European author of Hazel’s favorite book, Peter van Houten. Alas, after the universe burst the bubbles of the hopeful, the reality checks of life happen one after the other, and our female protagonist, fragile as she may seem, physically outlived her other sick friends with the memories of a good kind of love and of friendship cherished before it expired in her interpersonal ties. 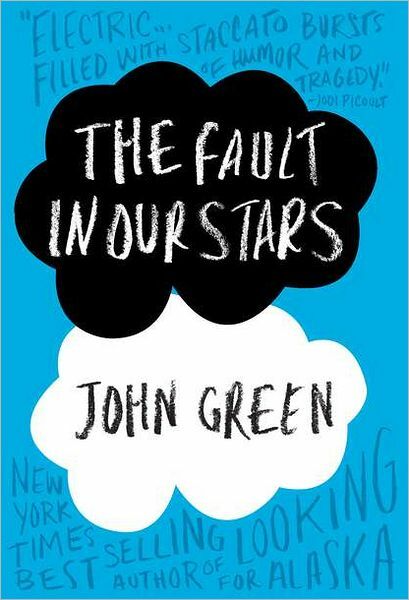 I liked the development of the story, got the fuzzies with the chemistry of Hazel and Gus, loved the use of the word hamartia (n. tragic flaw), but got disappointed with the ending. The Peter van Houten scenes are a jarring nuisance in the big picture, although I think it may be intended that someone so repulsive should exist in the narrative to make it less romanticized and more realistic. It is true that we ourselves encounter pesky, difficult people like him that bring us down and crush our dreams temporarily. I just don’t know if John Green resolved it enough for his character, Hazel Grace, to gain the worthy insights of her experiences in the end as her acceptance of all that happened didn’t exactly move her to change from what she was in the beginning of the story. It’s just my impression, I may be wrong with my interpretation. 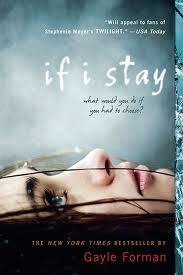 I’m wondering what next John Green book I’ll buy. Looking for Alaska sounds pretty dark because of the suicide. I’ll probably pick An Abundance of Katherines. After reading The Giver, I found that I had a copy of this Lois Lowry book (it’s one of those books you thought you never had and can’t remember when you bought it but it’s there on your shelf). It is a narrative behind the pictures of the protagonist named Katy. Her farm life, her experience as an apprentice to the village doctor (her dad), and her special friendship with the silent or “touched” boy named Jacob composed her memories. Told in retrospect, Katy had wondered about Jacob all her life and what had happened to the special child who committed a crime out of innocence. He was kept in an asylum but he mysteriously disappeared. That’s pretty much the whole story, a narrative of events that will leave you a sense of sympathy for the special needs child who just tried to be useful to his impoverished family and his community. 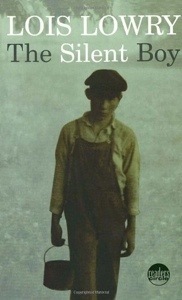 Katy’s life had turned out well when she grew up, had her family, and grew old in Australia, but she couldn’t forget the silent boy. Fifteen year-old Christopher is smart enough to solve all of his life’s mysteries. The death of Wellington, his neighbor’s dog, has preoccupied him. His snooping, however, has led him to uncover too the secrets of his family, and his emotionally sensitive condition has pushed him to instability, for even if his brilliant mind can handle science, he can’t handle the world’s interactions and touch. I felt sad for him and for his family. A glimpse into the mind of this special child will make you understand the concept of limitations not just for the person suffering himself, but for his caregivers as well. Christopher is a fascinating kid, but his fragility will require anyone of a bottomless kind of patience. Alas, even parents are prone to give up. 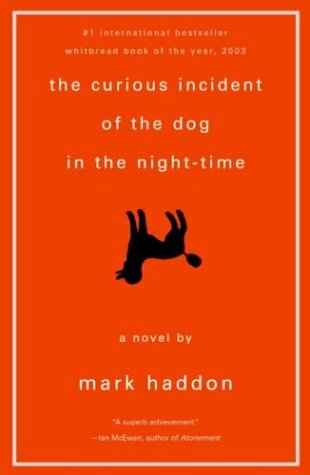 Haddon was said to have written this for the adults, but I guess it is an eye-opener too for young adults to read of fellow teens with special needs and be aware and sensitive to them. This book is in the list of 1001 novels to read before you die. Yay, done! On to the next book! I’ve come across this title several times on my social networks so I thought I’d give it a shot. I heard it was a tearjerker, and feeling that I needed catharsis, I managed to get the last copy of it in a different branch of my favorite bookstore (stocks are out in the branch near me). The book immediately starts with a tragedy that is vividly recounted by Mia, the lone survivor, an observer of the carnage surrounding her. Her out-of-body experience serves as the story’s narration, and the emotional scenarios of her extended family and her loved ones play out until she makes the decision to live or die. It’s a cruel, gripping dilemma Mia is in. I can’t imagine the difficulty of having to decide between a state of eternal peace as to a life of searing memories of loss and pain, but that’s really the price of living. She decides to fight, and she decides to hold on to love. It seems too optimistic a choice, but it is a brave one. My chest constricted at the thought of sacrificing her own grief to not be the cause of it to everyone who loved her. I wonder if I’ll be that selfless, given that situation. It’s a good book to shake you back into appreciating life and the living. It makes you think and feel the what ifs of having to struggle with a literal life-changing decision. The sequel (Where She Went) will tackle how Mia has moved on and made peace with her existence, and I’m curious on how she’s doing. I’ll try to buy that soon. I don’t remember finishing my sister’s copy of this book because I reached a saturation point for contemporary YA dystopian literature but this trailer revived my interest, at least for this adaptation. It feels a bit like Nikita with the gorgeous Maggie Q in it as the sort of mentor of the protagonist so I’m pretty excited to see a lot of action scenes in this film. Shailene Woodley’s becoming a favorite choice of these movie producers. We’re going to see her next in the movie adaptation of John Green’s The Fault in Our Stars!